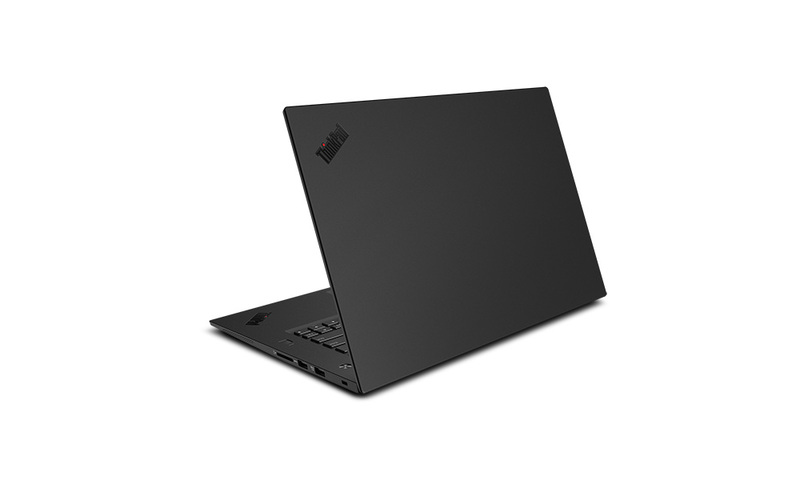 Expect the same ThinkPad carbon fiber and magnesium alloy finish but in a newer design inspired by the ThinkPad X1 Carbon series. 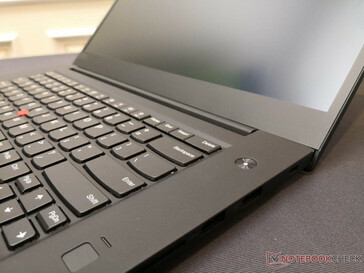 Intel 8th gen Xeon and Quadro GPUs complete the package, but the high starting price of just under $2000 USD may turn off some workstation users. 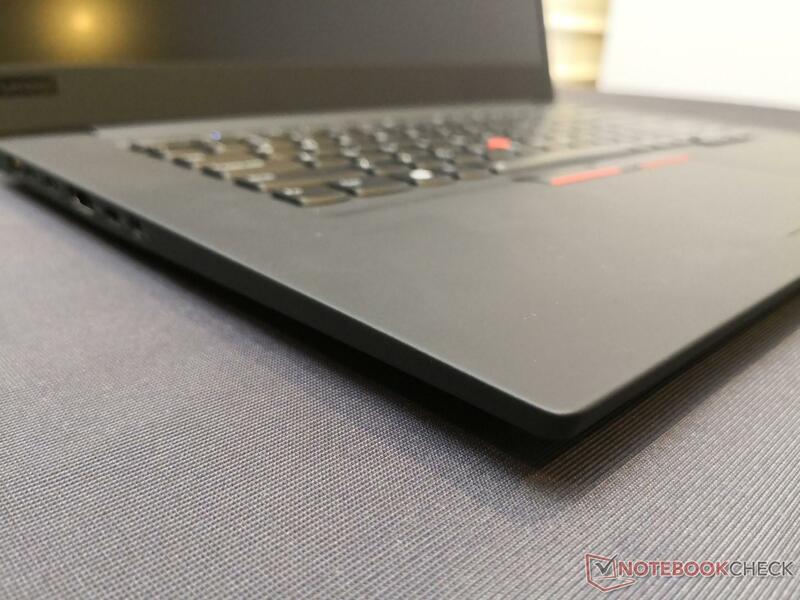 After a series of leaks, Lenovo has finally let the cat out of the bag. 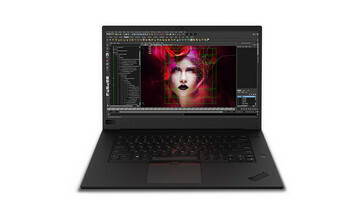 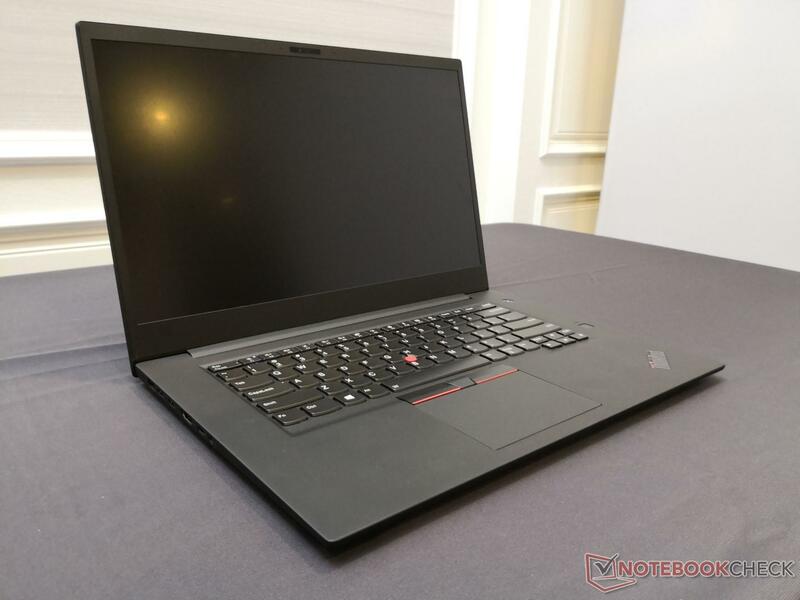 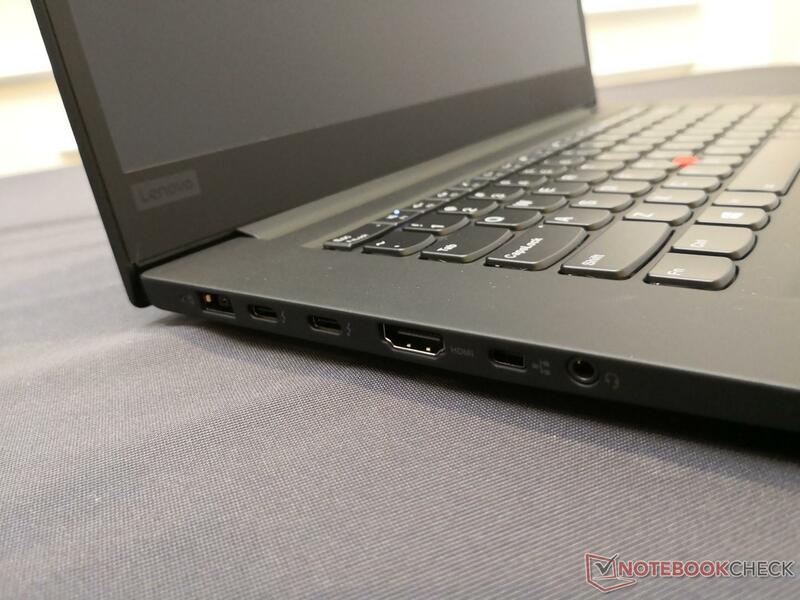 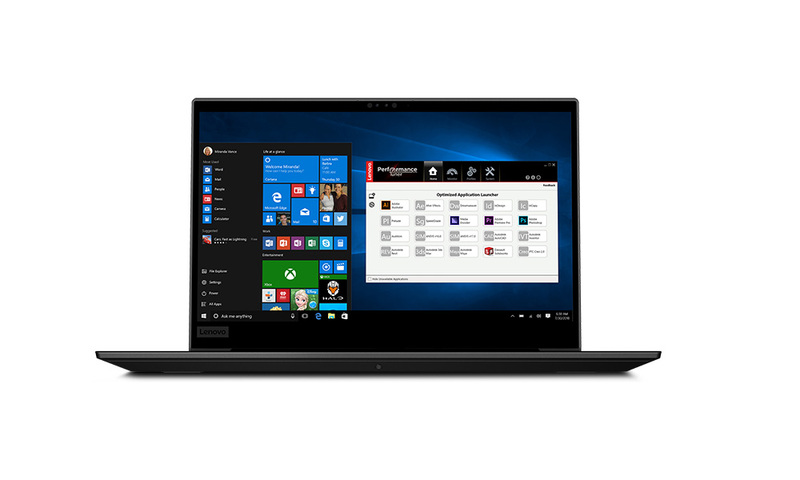 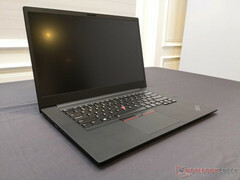 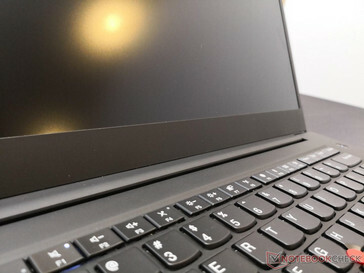 The ThinkPad P1 will be the company's next 15.6-inch narrow-bezel mobile workstation designed to compete directly against the XPS 15-inspired Dell Precision 5530. 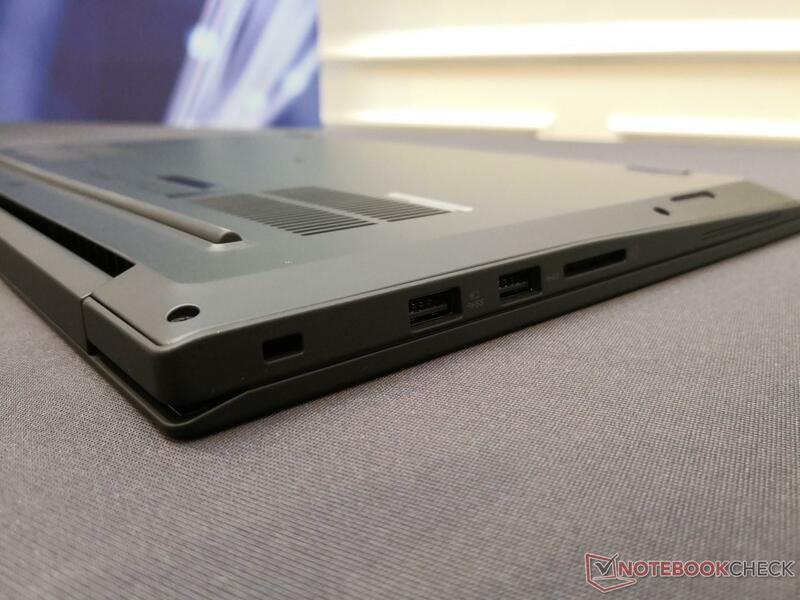 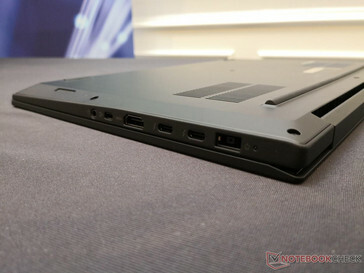 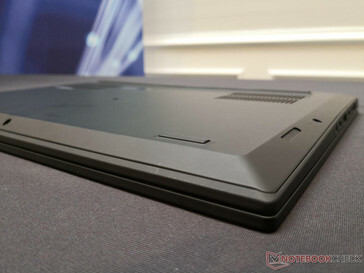 The new chassis design is an evolution of the existing ThinkPad P52s. The system deviates from its older sibling by being thinner (18.4 mm vs. 20.2 mm), lighter (1.7 kg vs 2.0 kg), and with no dedicated NumPad. CPU and GPU options now include Intel 8th gen Xeon and Nvidia Quadro P2000 graphics, respectively, with a more capable 135 W AC adapter to power the unit. 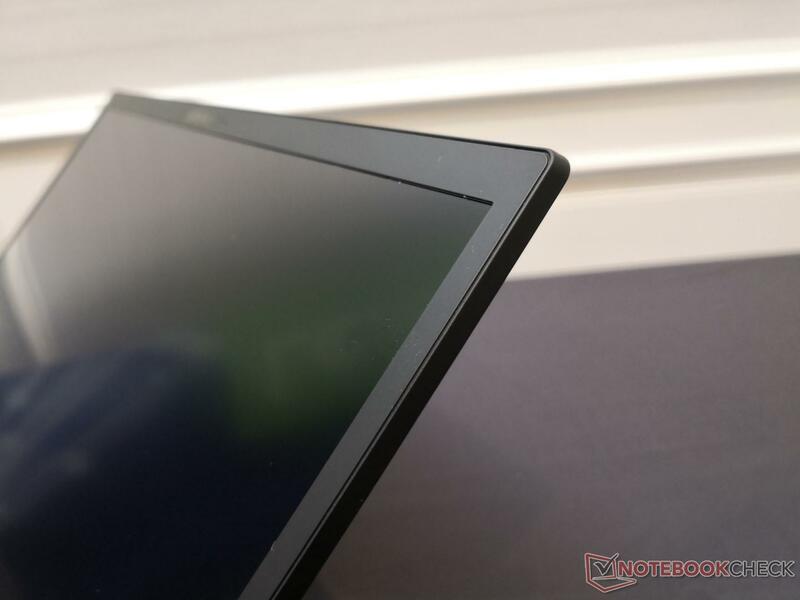 Both 1080p and 4K UHD panels return with the latter now incorporating touchscreen features. 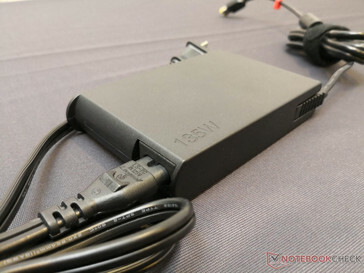 The hot-swap battery, however, is now gone in favor of an internal 80 Wh solution. 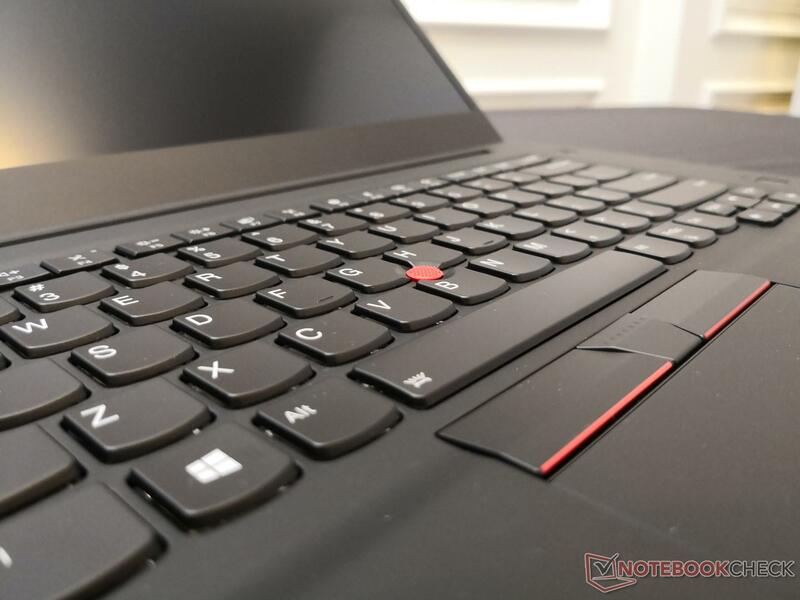 The ThinkPad P1 will become available by the end of this month for a steep starting price of $1950 USD and we'll likely see more of it at IFA 2018. 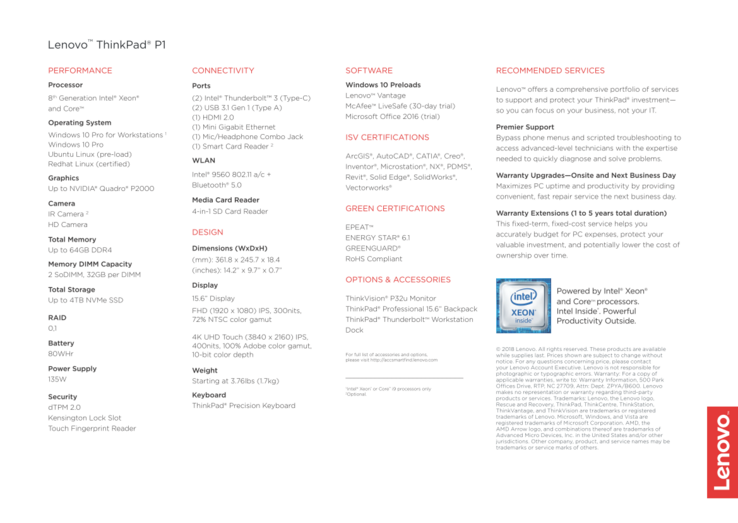 It's worth noting that the competing Precision 5530 starts at $1500 USD with similar Core, Xeon, and Quadro options as the ThinkPad P1 sans ECC RAM. 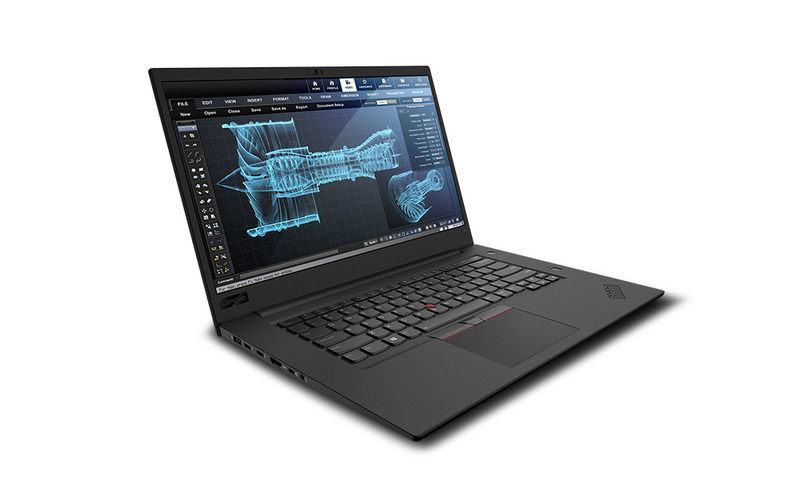 The ThinkPad P1 announcement is joined by the reveal of the 17.3-inch ThinkPad P72 with similar features.